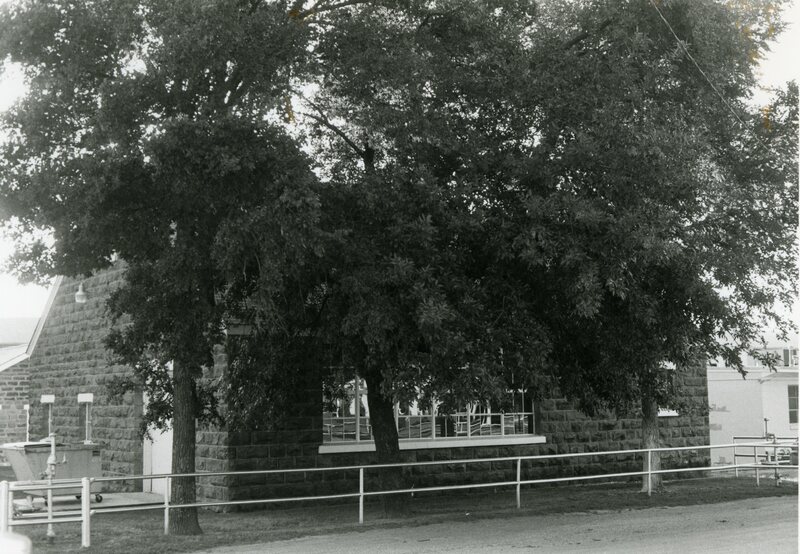 The Preston campus contains two WPA buildings: a home economics cottage and a shop building. 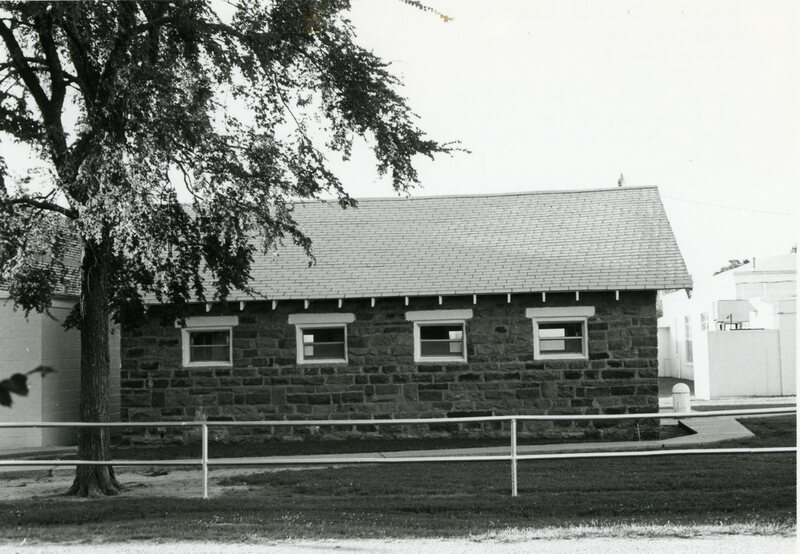 The cottage has two rooms and is a single-story, rectangular (50′ x 48′) structure constructed of coursed and rusticated native stone of buff color. 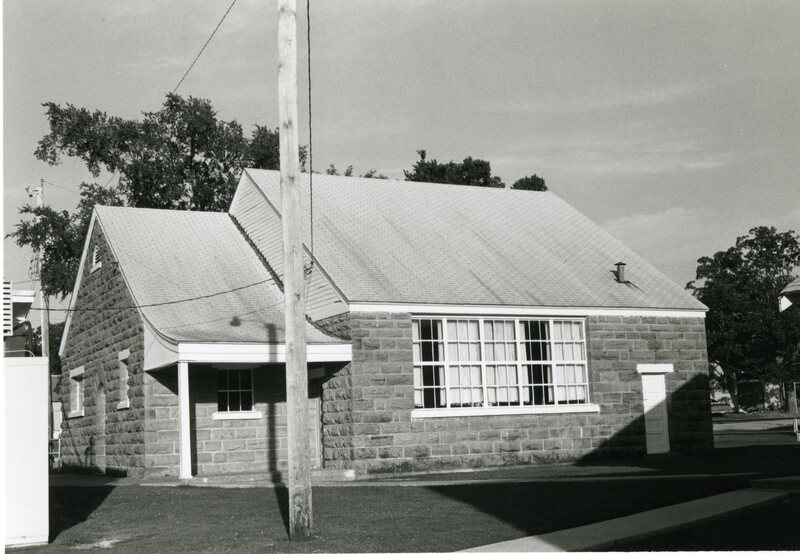 The roof is gabled with a catslide roof attached to the north side of the school. All doors have concrete lentils. There are large windows on the east and west sides, and three smaller windows on the north and west. All of these sash windows have concrete sills. 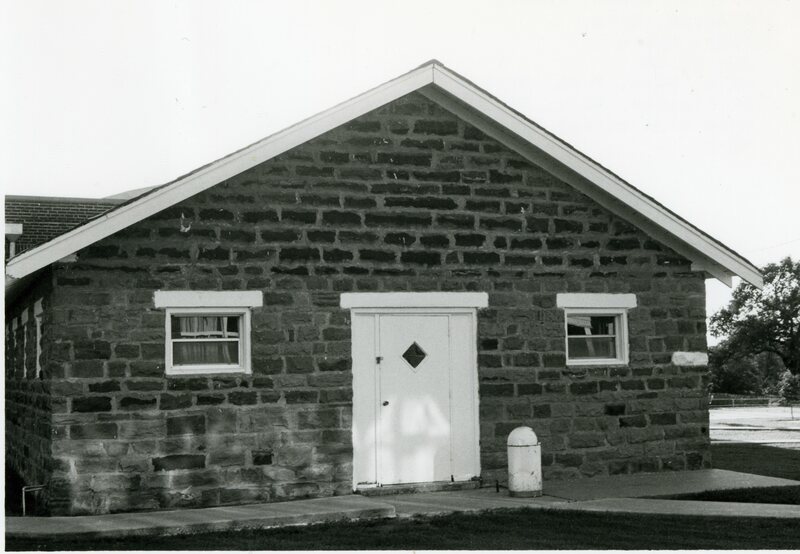 The shop building is a single-story, rectangular (28′ x 32′) building constructed of crudely-coursed and rusticated native stone of buff color. The roof is gabled. The main entrance contains concrete lentils. Windows on each side of the door also have concrete lentils. The north and south sides of the structure have four sashed windows with concrete lentils. The trim and lentils on both the shop and the cottage have been painted white and the main entrance has a new wooden door installed. Construction of these two buildings created new environments conducive to learning, which increased educational opportunities in Preston. It also provided jobs for those desperately seeking economic security in the depths of the depression when work was scarce for unskilled laborers. The buildings are unique within the town of Preston in terms of type, style, scale, materials, and quality of workmanship. The catslide roof is particularly unique for WPA a structures in Oklahoma. VERBAL BOUNDARY DESCRIPTION: The nominated property begins at a point 1664 feet east and 832 feet south of the northwest corner of Sec. 12, T 14 N, R 12 E, go 416 feet east, 208 feet south, 416 feet west, and 208 feet north.